Members of the book trade may order through Ingram, Baker & Taylor, and other wholesalers. Hunter is a Christian. Hunter is the man next door. Hunter Carlisle is gay. 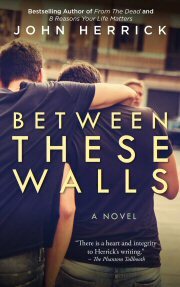 John Herrick is the bestselling author of Between These Walls, From the Dead, and 8 Reasons Your Life Matters. A graduate of the University of Missouri—Columbia, readers turn to him as a chronicler of spiritual journey and the human heart. Herrick lives in St. Louis. Visit his website at www.johnherrick.net. Now available at booksellers nationwide! "If I were to disappear, would anybody notice?" When songwriter Danny escaped to the Atlantic coast seven years ago, he laid to rest his unrequited affection for childhood friend Meghan Harting. Their communication faded with yesterday and their lives have become deadlocked. Now Danny, haunted by an inner stronghold and determined to win Meghan back, must create a masterpiece and battle for the heart of the only woman who understands his music. As memories resurface, Danny and Meghan embark on parallel journeys of self-discovery—and a collision course to seal their mutual fate. "Exquisite and honest. 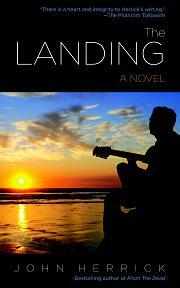 The Landing goes beyond language to pursue that elusive something that, when found, lingers and leaves you changed." 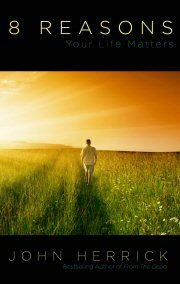 A preacher’s son. A father in hiding. A guilty heart filled with secrets. When Jesse Barlow escaped to Hollywood at age eighteen, he hungered for freedom, fame and fortune. Eleven years later, his track record of failure results in a drug-induced suicide attempt. Revived at death’s doorstep, Jesse returns to his Ohio hometown to make amends with his preacher father, a former love, and Jesse’s own secret son. But Jesse’s renewed commitment becomes a baptism by fire when his son’s advanced illness calls for a sacrifice—one that could cost Jesse the very life he regained. 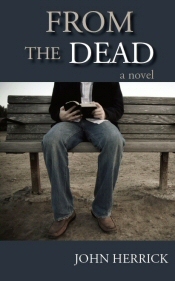 A story of mercy, hope, and second chances, From The Dead captures the human spirit with tragedy and joy. "A solid read with a powerful spiritual message."